New London Township is the most populated township in Kandiyohi County with a population of 2,907 residents, 1,188 households and 1,933 registered voters. 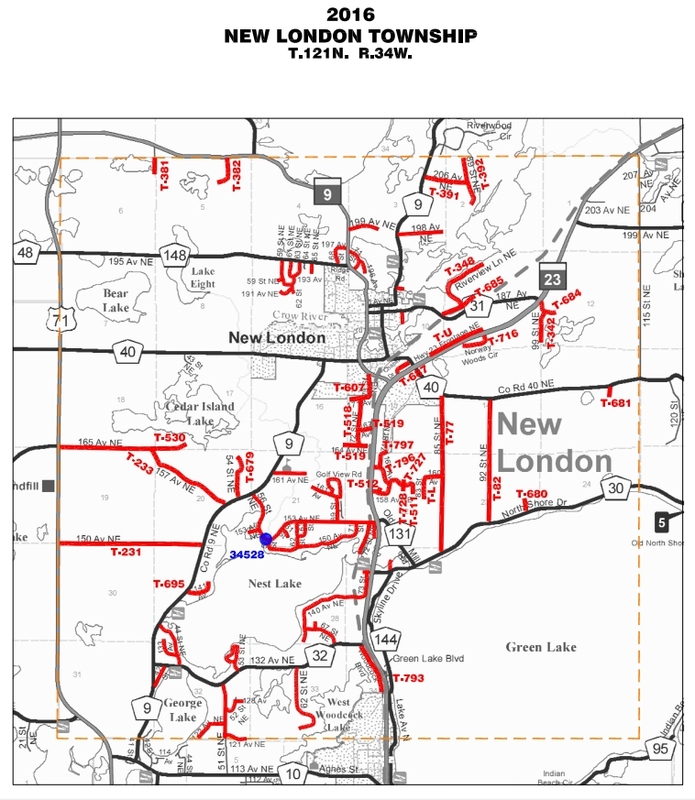 New London Township is located in the northeast central portion of Kandiyohi County between the cities of Spicer and New London. The township has a total of 30.002 miles, 22.054 of which are paved and 7.948 miles are gravel. US Highway 71, State Highway 9 and 23, County Roads 9, 30, 32 and 40. Green, Monongalia, Cedar Island, Bear, Nest, George and West Woodcock. New London Ambulance and Spicer First Responders.